Don't Delay - We Sell Out Every Year! Please make sure you are scheduled for a pick up before coming. You can schedule your pick up here. We are .6 miles from New Belgium Brewery. It is not hard to find....but you do need to follow these detailed directions. 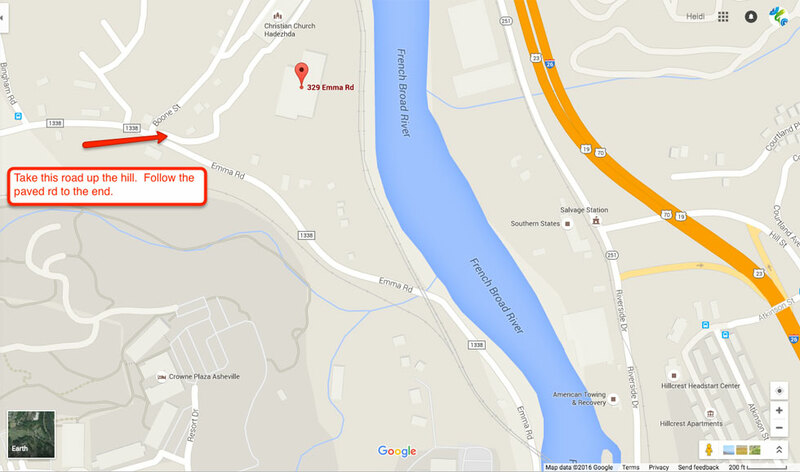 The official address is 329 Emma Rd, Asheville, NC. HOWEVER, the address on the sign on Emma Rd is 327. PLEASE READ: Google maps will get you 90% here, but you must read my directions for the last 10%. 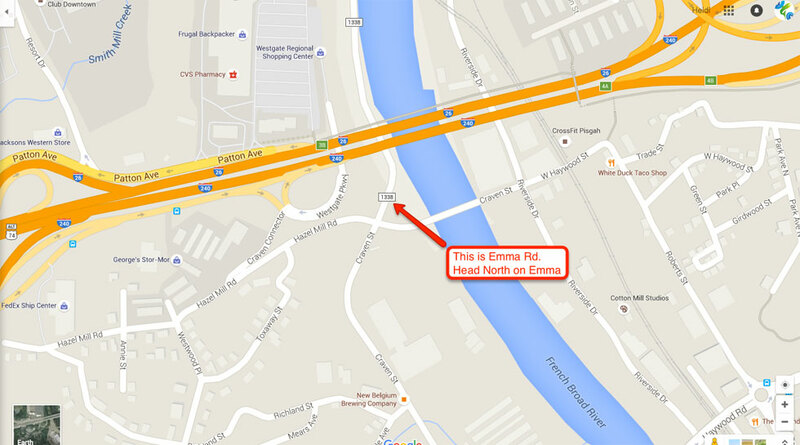 We are just located off Emma Rd, but Google directions will end at Emma Rd. Go .7 miles and take a soft left on to unmarked road. You will see our sign. Go UP the hill. Don't go down the hill on the other unmarked road. It will end at a small parking lot. We are in the wood sided building that looks like a cabin. If you are at the North Corner of New Belgium Brewery, there will be a 4 way intersection. Hazel Mlll Rd, Craven St and Emma rd are the 3 names at this intersection. At .7 miles you will see a sign for a church and Wild Salmon Co.
Take a hairpin right onto an unmarked road when you see these signs. Head up the hill and follow the paved road TO THE END. (You will go past Westy Motor Works). It will end at a small parking lot. We are in the wood sided building that looks like a cabin. Click here for a general Google map and directions, then see the screenshots below for further detail.